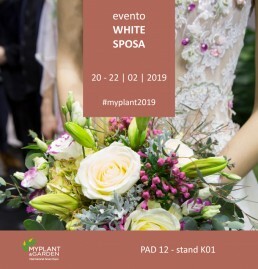 The events at Myplant & Garden 2019 are a huge combination of innovative passion and proud tradition, where technology, craftsmanship, mastery in floristry, decoration, fashion, runways, signature installations and new productions nurture the dialogue between nature, innovation, creativity, architecture and beauty in search of ideas, solutions, and business opportunities. 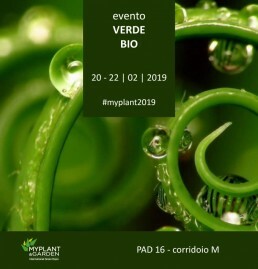 The event dedicated to garden centres of the future gets bigger and bigger. 6 exhibiting areas dedicated to 6 lifestyles that reflect different needs and demands. TAKE A LOOK AT THE GNCT TALK / OPEN DIALOGUES: meeting and comparing! 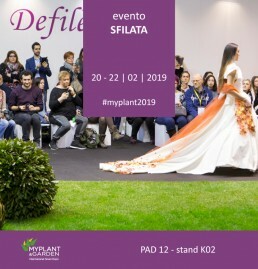 For the first time in Italy the trendsetters of BLOOM’s present the flower trends for the next season in a world premiere. 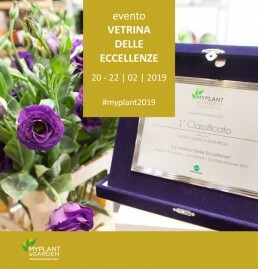 Italian flowers and international creativity mingle in a sparkling instalment organized by OFFICINA DELLE PIANTE Annette Gottmann . 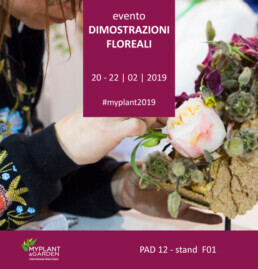 The masters of Fondazione Minoprio together with the big names in Italian and international flower decoration work side by side to create ambiances. 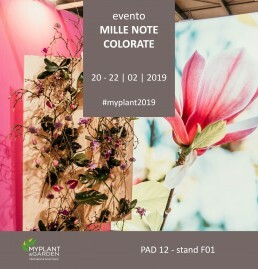 Leitmotiv 2019: a thousand colourful notes. 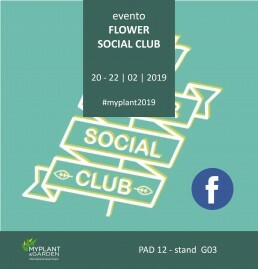 The new Facebook community where floral designers and experts in the sector explore together new techniques, better products and latest trends. The most voted creations will be awarded a prize. 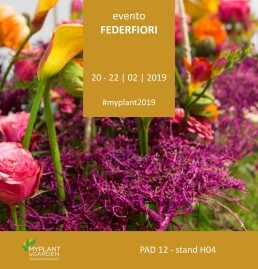 Event-location curated by Federfiori that celebrates the deep essence of the flower and exhalts the natural and spontaneous craftsmanship that surrounds it. A botanic style that becomes a trend in the hands of great floristry masters. Green runway enlivened by colours, beauty and elegance. 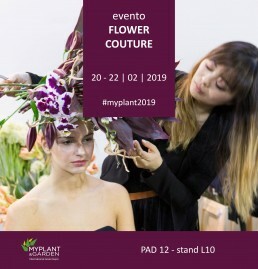 Dedicated to the exclusive shows developed through the cooperation of fashion designers and Italian and international floristry masters. White Sposa is the excellence in the world of flower decoration. Its space becomes home to ceremonies, flower-fashion runways and a meeting pool for floral designers and wedding planners. Haute couture meets floral design in a collaborative platform led by Aya Vloet, a Japanese floral artist based in San Francisco, California. Atelier of good taste, creativity lab, decoration icon, runway platform. 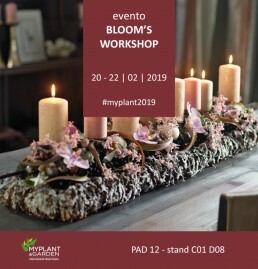 A must-visit for all florists, hair stylists and experts in the decoration industry. 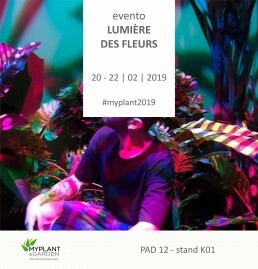 Curated by L’ecole des Fleurs, sponsor Interflora. A never-ending series of creative and commercial ideas for the world of flowers and accessories. 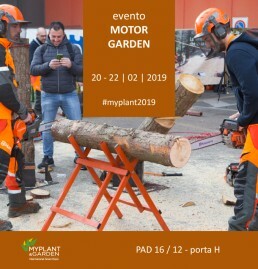 Side by side to the ever growing exhibiting area of machinery in hall 20, the motorgarden and tools sector has also its window outside with an outdoor live demo area between halls 12 and 16. 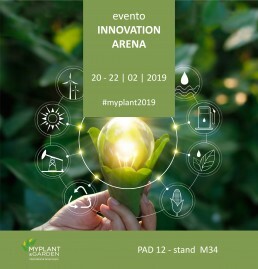 G2 Startups presents some innovative solutions and offers a series of meetings to explain the potential of new technologies, advanced applications and new business models for the green sector. 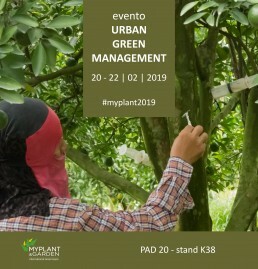 The sector of the fair that usually attracts the most important operators in the construction, maintenance and management of urban and natural green areas. 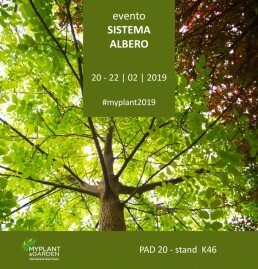 A new initiative that explores the theme of arboriculture in all its aspects. It welcomes experts in the field and it shows the most prestigious brands of the sector. 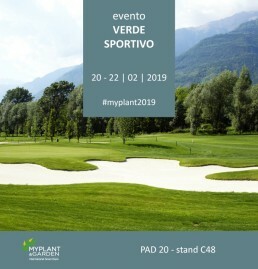 A new area dedicated to the fusion of sport, nature and architecture. A multi-sport field will host the best products and designs of the sector. Organized by EN Space network. 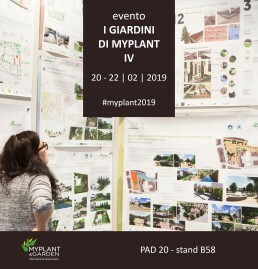 Exhibition of the finalist projects and award ceremony of the IV edition of the creative design competition ‘I Giardini di Myplant’ titled ‘Il Giardino di Corte’, that will benefit CasArché. A scenic 90-meter long avenue guides visitors along the sector of design, materials and building in a remarkable trait d’union between the world of horticulture and architecture. Curated by EN Space network. Every year the award grants a prize to the latest and more relevant innovations exhibited in the fair. 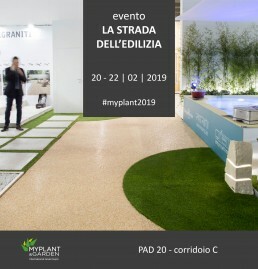 This edition there will be an itinerant exhibition: the running products will be marked with a dedicated plate directly in the stands. The initiative is an innovation of the V edition. Organic and sustainable products are highlighted within the stands by recognisable plates. HALL 20 – A47. 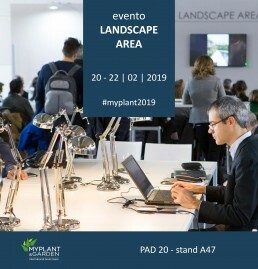 The Landscape Area will develop in hall 20, where the world of design, outdoor materials and highlights concerning the themes of landscape, renovation of green areas and green building will be presented. EN Space network­ will take care of the contents in the Green Factory Project event, where some designers will share their latest “green projects”. The focus is on innovative solutions, cooperation, contacts, and comparison. The protagonists of the Green Factory Project 2019 area will be: Enzo. Satoru Tabata, GMS Studio Associato, O+A | Ori+Arienti, Studio Associato Scudeletti, Studio Greenatelier, LAND.